Purchasing a washing machine can be a costly investment. Proper use and maintenance may help to extend the life of your machine. This is a guide about extending the life of you washing machine. To extend the life of your washing machine and have less maintenance on it, set the machine to the longest and hottest wash cycle. Do not add any clothes or detergent. Instead, pour an entire gallon of white vinegar into the tub at the beginning and allow the machine to go through its entire cycle. If you do this routinely, you will extend the life of your washing machine because vinegar removes scum and hard-water buildup. Someone had mentioned giving the clothes washer an extra spin at the end to get rid of water, thinking that it would lessen drying time. Figured I'd better mention that I used to do just that, and wore out my electronic panel. The repairman said that the electronic finger tip touch panels are not as durable as the old twist and turn dials. An expensive lesson. My new washing machine maintenance advises not to use cold water and to clean the machine once every month. If I do use cold water will that shorten the life of my machine. Washing powder as it clogs up the machine, liquid is much better. Using hot or cold water shouldn't make any difference to life of machine. Is the cold water prohibition only for when you are doing the monthly cleaning? That would make sense-only hottest water is going to clean and (possibly, depends on how hot your machine gets the hot water) sanitise the drum and all the parts exposed to soap, sand, grit, etc. I have a front load machine that heats its own water, goes up to 90C (194F) which is just below the boiling point. My machine user guide says to run an empty load on a full wash programme at the 90C temp to clear all the soap residue and to sanitise the drum, door, etc. Works a treat, my machine is about 8 years old and still running great. When I lived in the States I had a top-load washer, the owner's manual also recommended that once-a-month hottest temp clean. I think the worry you have about shortening your machine lifespan is valid. Not getting all the residue out of your machine will shorten its life. Another good maintenance tip is to check the inlet filter (usually a small mesh screen in the hose connector. You'd be amazed at what I used to find in there once a month, wow! Sand, soap scum, leaf bits...all kinds of little things that will block the water flow. I've never heard of a manufacturer requiring the use of cold water. I wonder if you misunderstood. 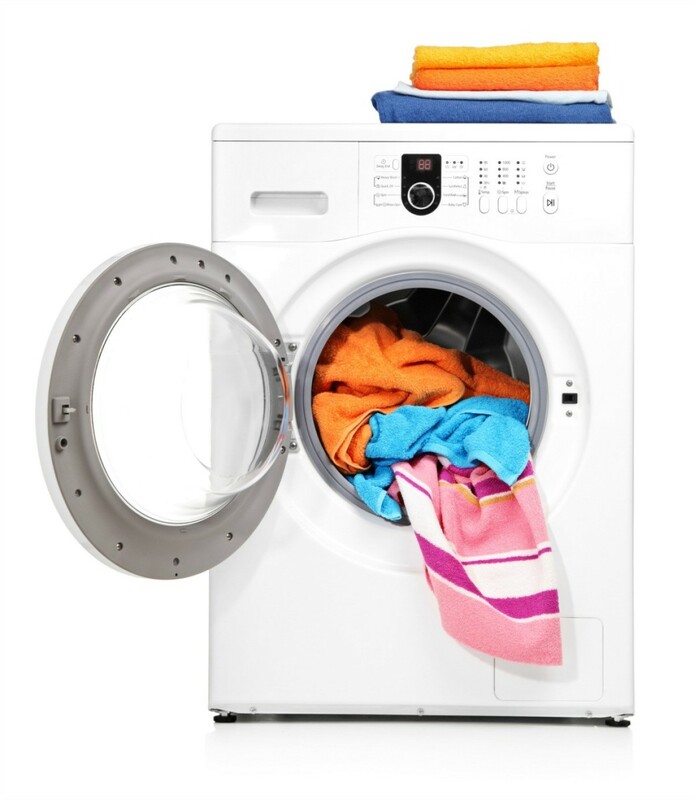 To help keep your washer from rusting you can either leave the lid or door open or wipe it down after use. This is a guide about keep your washing machine from rusting.